SAN FRANCISCO (June 16, 2016) – A powerhouse group of scientists and conservationists are joining forces to tackle the alarming decline of coral reefs worldwide. Today, the California Academy of Sciences and world-renowned SECORE International are announcing a historic step forward for coral reef research and restoration in the form of a cutting-edge new approach—millions of concrete, reef-attaching “seeding units”—to restore dwindling reefs with sexually-produced corals on a meaningful scale. The Academy is one of several leading institutions partnering with SECORE to apply this visionary restoration approach in reefs around the world. This partnership is part of the Academy’s expansive new $8.5 million investment in coral reef research and restoration—including the hiring of expert curators Drs. Rebecca Albright and Pim Bongaerts—announced just last month. Nearly 75% of the world’s coral reefs are currently threatened by the combined impacts of overfishing, habitat destruction, water pollution, climate change, and ocean acidification. SECORE, the Academy, and a growing group of partners and supporters have spent years researching the use of sexual coral restoration to rehabilitate struggling reef ecosystems. SECORE’s use of sexually-produced corals in restoration efforts—a fascinating process in itself—has undergone an incredible transformation after more than a decade of research. Coral reefs are built over time by large colonies of tiny animals called stony coral polyps. These immobile animals release their eggs and sperm into the water column—often in mass spawning events that occur roughly once per year. When ocean conditions are poor, reef-building corals are unable to reproduce. Conservation scientists have developed ways of sexually producing large quantities of coral offspring that are genetically diverse and are raised on land and in ocean-based nurseries. Petersen notes heartening news from Mexico and Curacao, where large-scale restoration pilot projects involving the self-attaching units have served as a promising start for the new technique. 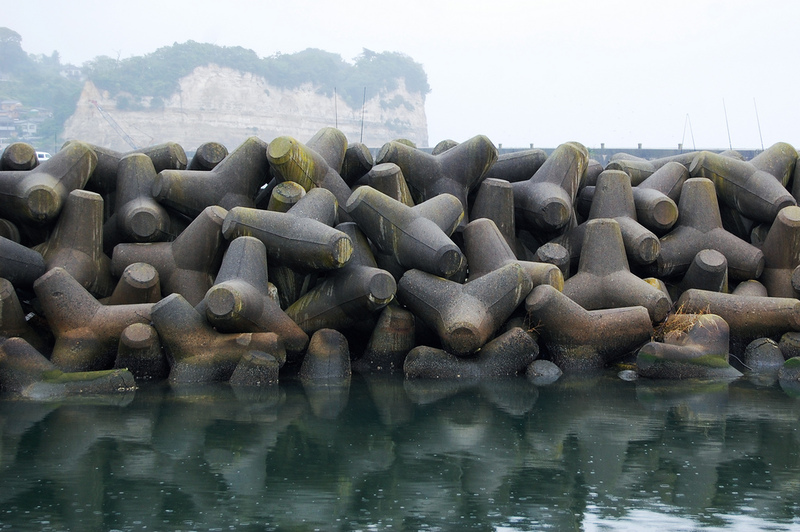 Each fist-sized, tetrapod-shaped seeding unit is made from concrete and mimics the giant pieces used to build breakwater structures in global waters. Much like the process of scattering seeds in farming fields, scientists and partners aim to sow corals onto degraded reef sites around the world. Dr. Rebecca Albright, one of the Academy’s newest curators and a leading expert on how ocean acidification and warming seas impact coral reefs, will take an active role in this collaborative restoration effort. Albright will join additional conservation scientists and partners in SECORE-managed field sites worldwide as they work to expand our knowledge of coral biology, resilience, and the ability to support the rehabilitation of degraded coral reefs with the new “seeding units”. Already global leaders in this field, the Academy and SECORE will continue to develop and apply science-based technologies to increase survival of coral reefs on a global scale. Together with a growing network of partners, the Academy’s unique mix of scientific expertise, world-leading ocean exploration skills, on-the-ground conservation efforts, world-class aquarium and coral culturing facilities, and innovative educational platforms will give critical marine ecosystems the science-based help—and global attention—they deserve. SECORE International is a leading non-profit conservation organization for the protection and restoration of coral reefs, based in Germany and the USA. SECORE works in a global network of scientists, public aquarium professionals and local stakeholders and uses a multidisciplinary strategy combining research, education, outreach and active reef restoration. SECORE uses sexually produced corals for restoration to promote genetic diversity, employing ingenious new techniques for seeding large numbers of coral recruits without the need to transplant each coral by hand.